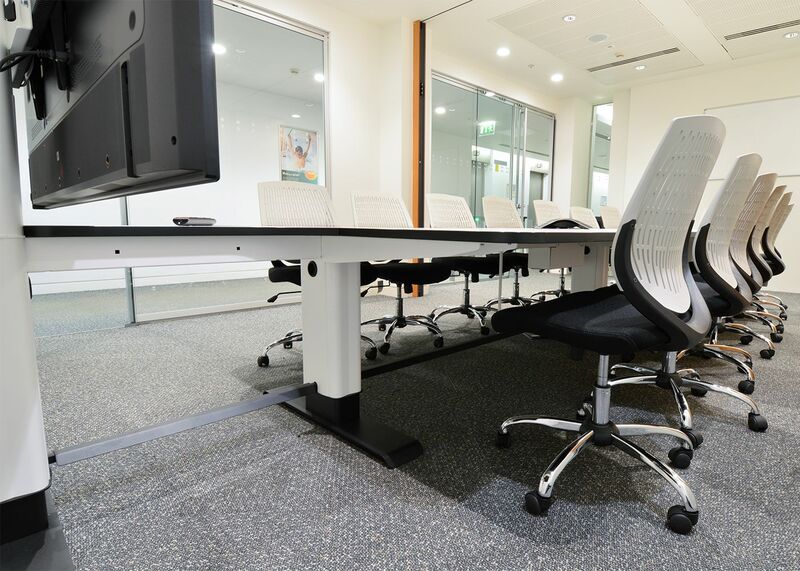 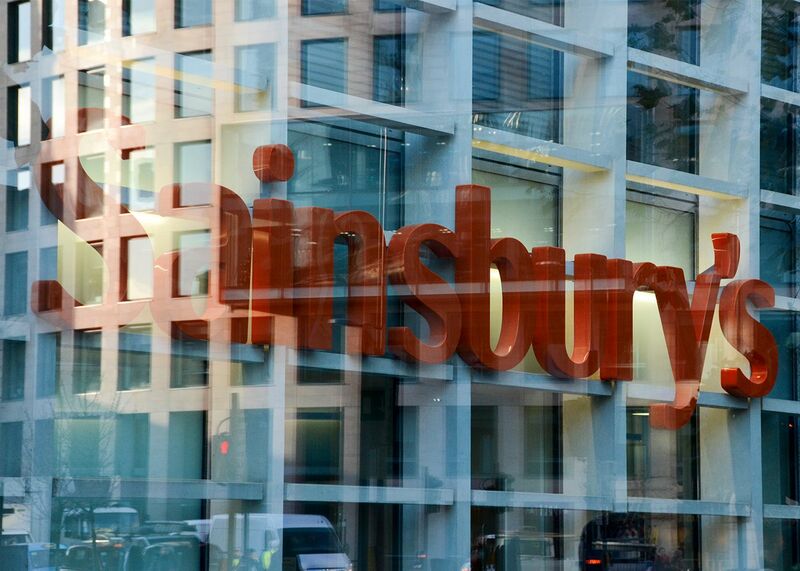 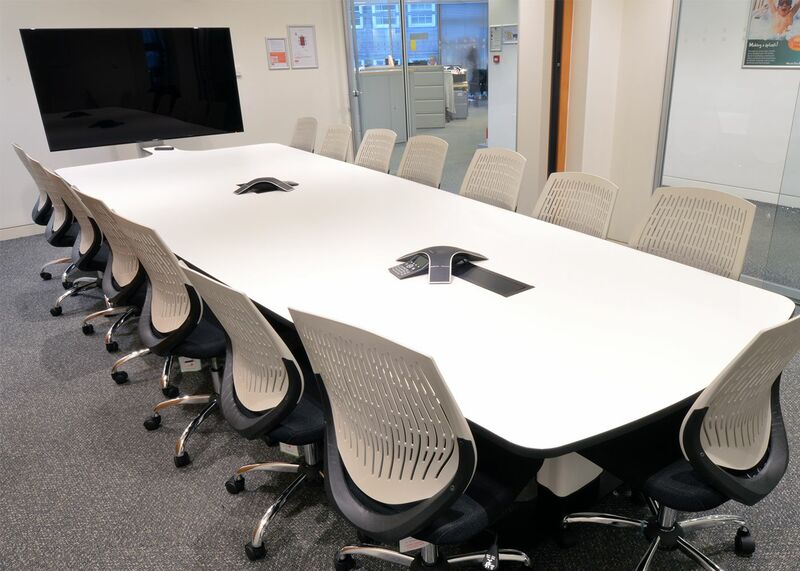 The merchandising team at Sainsbury’s head office in Holborn use this collaborative table to revue daily category management statistics to respond to national and local product demands. 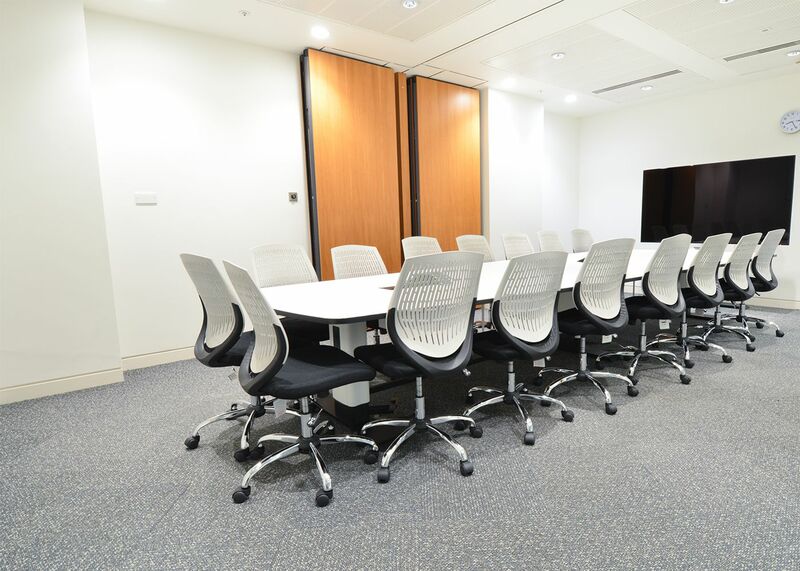 The room is allocated hourly for the category teams to present what has happened across the estate of stores and plan replenishment using the integrated teleconference and large screen collaboration facilities. 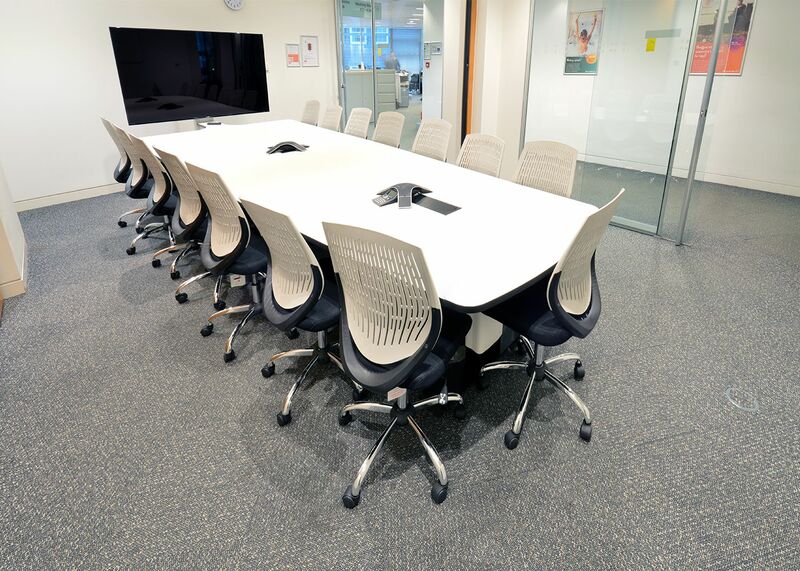 The dynamics of the meetings are complimented by the integrated furniture to maximise meeting time and attendance of team resources.